Geotub is Geoplast sustainable solution for round concrete (and not only) columns. Made in ASB, this formwork is reusable at least 100 times, when looked after with care. Being modular, it can be used for repeated column pour; the elements are very light and easy to handle, assemble and dismantle; the handles are made of nylon and won't go amiss on the site. Achieve excellent surface finish without using any release agents. These pictures are from a residential project in Table View, Cape Town. 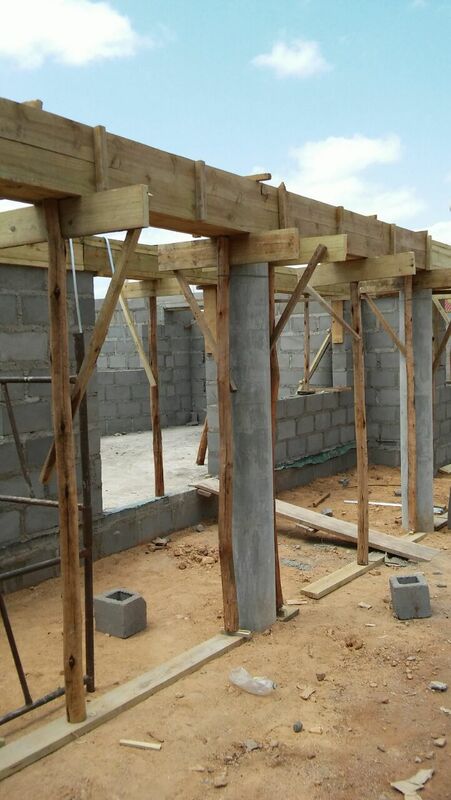 The photos below are from KERBS Civils site in Manzini, Swaziland; they opted for this sustainable formwork to build a school. Even though local differences in building and propping are visible, the formwork still guarantees a strong structure with an excellent finish. Find out more about this innovative formwork by paying us a visit at our factory or leave a message in the contact box!